Paxil CR (paroxetine) tablets, suspension (liquid), and extended-release (long-acting) tablets are used to treat depression, panic disorder (sudden, unexpected attacks of extreme fear and worry about these attacks), and social anxiety disorder (extreme fear of interacting with others or performing in front of others that interferes with normal life). Paxil CR (paroxetine) tablets and suspension are also used to treat obsessive-compulsive disorder (bothersome thoughts that won't go away and the need to perform certain actions over and over), generalized anxiety disorder (GAD; excessive worrying that is difficult to control), and posttraumatic stress disorder (disturbing psychological symptoms that develop after a frightening experience). Paxil CR (paroxetine) extended-release tablets are also used to treat premenstrual dysphoric disorder (PMDD, physical and psychological symptoms that occur before the onset of the menstrual period each month). Paxil CR (paroxetine) is in a class of medications called selective serotonin reuptake inhibitors (SSRIs). It works by increasing the amount of serotonin, a natural substance in the brain that helps maintain mental balance. Paxil CR (paroxetine) comes as a tablet, a suspension (liquid), and a controlled-release (long-acting) tablet to take by mouth. It is usually taken once daily in the morning or evening, with or without food. You may want to take Paxil CR (paroxetine) with food to stop it from upsetting your stomach. Take Paxil CR (paroxetine) at around the same time every day. Follow the directions on your prescription label carefully, and ask your doctor or pharmacist to explain any part you do not understand. Take Paxil CR (paroxetine) exactly as directed. Do not take more or less of it or take it more often than prescribed by your doctor. Shake the liquid well before each use to mix the medication evenly. Swallow the extended-release and regular tablets whole; do not chew or crush them. Your doctor may start you on a low dose of Paxil CR (paroxetine) and gradually increase your dose, not more than once a week. Paxil CR (paroxetine) controls your condition but does not cure it. It may take several weeks or longer before you feel the full benefit of Paxil CR (paroxetine). Continue to take Paxil CR (paroxetine) even if you feel well. Do not stop taking Paxil CR (paroxetine) without talking to your doctor. Your doctor will probably decrease your dose gradually. If you suddenly stop taking Paxil CR (paroxetine), you may experience withdrawal symptoms such as depression; mood changes; frenzied or abnormally excited mood; irritability; anxiety; confusion; dizziness; headache; tiredness; numbness or tingling in the arms, legs, hands, or feet; unusual dreams; difficulty falling asleep or staying asleep; nausea; or sweating. Tell your doctor if you experience any of these symptoms when your dose of Paxil CR (paroxetine) is decreased. Paxil CR (paroxetine) is also sometimes used to treat chronic headaches, tingling in the hands and feet caused by diabetes, and certain male sexual problems. Paxil CR (paroxetine) is also used with other medications to treat bipolar disorder (mood that changes from depressed to abnormally excited). Talk to your doctor about the possible risks of using this drug for your condition. tell your doctor and pharmacist if you are allergic to Paxil CR (paroxetine) or any other medications. tell your doctor if you are taking monoamine oxidase (MAO) inhibitors, including isocarboxazid (Marplan), linezolid (Zyvox), phenelzine (Nardil), selegiline (Eldepryl, Emsam, Zelapar), and tranylcypromine (Parnate), if you have stopped taking them within the past 2 weeks, or if you are taking thioridazine or pimozide (Orap). Your doctor will probably tell you not to take Paxil CR (paroxetine). If you stop taking Paxil CR (paroxetine), you should wait at least 2 weeks before you start to take an MAO inhibitor. tell your doctor and pharmacist what other prescription and nonprescription medications and vitamins you are taking or plan to take. Be sure to mention any of the following: anticoagulants ('blood thinners') such as warfarin (Coumadin); antidepressants ('mood elevators') such as amitriptyline (Elavil), amoxapine (Asendin), clomipramine (Anafranil), desipramine (Norpramin), doxepin (Adapin, Sinequan), imipramine (Tofranil), nortriptyline (Aventyl, Pamelor), protriptyline (Vivactil), and trimipramine (Surmontil); antihistamines; aspirin and other nonsteroidal anti-inflammatory drugs (NSAIDs) such as ibuprofen (Advil, Motrin), and naproxen (Aleve, Naprosyn); atomoxetine (Straterra); atazanavir (Reyataz); bromocriptine (Parlodel); bupropion (Wellbutrin); buspirone (Buspar); celecoxib (Celebrex); chlorpromazine (Thorazine); cimetidine (Tagamet); clopidogrel (Plavix); codeine (found in many cough and pain medications); dexamethasone (Decadron); dextromethorphan (found in many cough medications); diazepam (Valium); dicloxacillin (Dynapen); digoxin (Lanoxin); dipyridamole (Persantine); diuretics ('water pills'); haloperidol (Haldol); isoniazid (INH, Nydrazid); lithium (Eskalith, Lithobid); medications for irregular heartbeat such as amiodarone (Cordarone, Pacerone), encainide (Enkaid), flecainide (Tambocor), mexiletine (Mexitil), moricizine (Ethmozine), propafenone (Rythmol), and quinidine (Quinidex); medications for mental illness and nausea; medications for migraine headaches such as almotriptan (Axert), eletriptan (Relpax), frovatriptan (Frova), naratriptan (Amerge), rizatriptan (Maxalt), sumatriptan (Imitrex), and zolmitriptan (Zomig);medications for seizures such as phenobarbital and phenytoin (Dilantin); meperidine (Demerol); methadone (Dolophine); metoclopramide (Reglan); metoprolol (Lopressor, Toprol XL); ondansetron (Zofran); other selective serotonin reuptake inhibitors such as citalopram (Celexa), fluoxetine (Prozac, Sarafem), fluvoxamine (Luvox), and sertraline (Zoloft); procyclidine (Kemadrin); propoxyphene (Darvon); propranolol (Inderal); ranitidine (Zantac); rifampin (Rifadin, Rimactane); risperidone (Risperdal); ritonavir (Norvir); sibutramine (Meridia); tamoxifen (Nolvadex); terbinafine (Lamisil); theophylline (Theobid, Theo-Dur); ticlopidine (Ticlid); timolol (Blocadren); tramadol (Ultram); trazodone (Desyrel); and venlafaxine (Effexor). Your doctor may need to change the doses of your medications or monitor you carefully for side effects. tell your doctor what herbal products and nutritional supplements you are taking, especially St. John's wort and tryptophan. 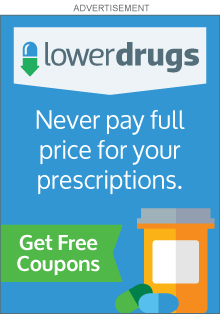 tell your doctor if you use or have ever used street drugs or have overused prescription medications, if you have recently had a heart attack, and if you have or have ever had glaucoma (an eye disease); seizures; bleeding from your stomach or esophagus (tube that connects the mouth and stomach) or liver, kidney, or heart disease. tell your doctor if you are pregnant, plan to become pregnant, or are breast-feeding. If you become pregnant while taking Paxil CR (paroxetine), call your doctor. you should know that Paxil CR (paroxetine) may make you drowsy and affect your judgment and thinking. Do not drive a car or operate machinery until you know how this medication affects you. ask your doctor about the safe use of alcoholic beverages while you are taking Paxil CR (paroxetine). Paxil CR (paroxetine) may cause other side effects. Call your doctor if you have any unusual problems while taking this medication.